Scientists from the Institute for Research in Biomedicine (IRB Barcelona), University of Maryland, and the MOFFIT report that cancer cells proliferate less and in a less robust manner when their internal pH is lowered, i.e., it becomes more acidic. This finding offers opportunities for new therapeutic approaches to tackle the disease, according to the team who published their study (“Systems analysis of intracellular pH vulnerabilities for cancer therapy”) in Nature Communications. “A reverse pH gradient is a hallmark of cancer metabolism, manifested by extracellular acidosis and intracellular alkalization. While consequences of extracellular acidosis are known, the roles of intracellular alkalization are incompletely understood. By reconstructing and integrating enzymatic pH-dependent activity profiles into cell-specific genome-scale metabolic models, we developed a computational methodology that explores how intracellular pH (pHi) can modulate metabolism. 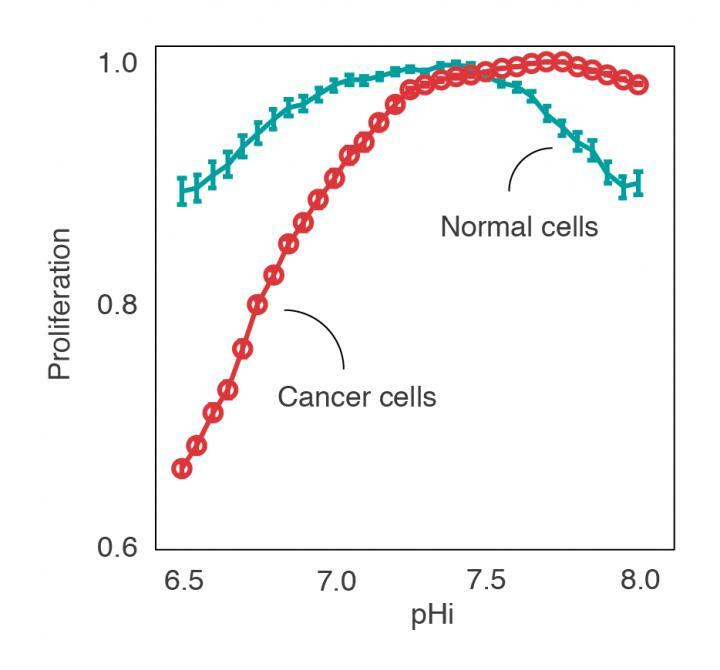 We show that in silico, alkaline pHi maximizes cancer cell proliferation coupled to increased glycolysis and adaptation to hypoxia (i.e., the Warburg effect), whereas acidic pHi disables these adaptations and compromises tumor cell growth,” write the investigators. 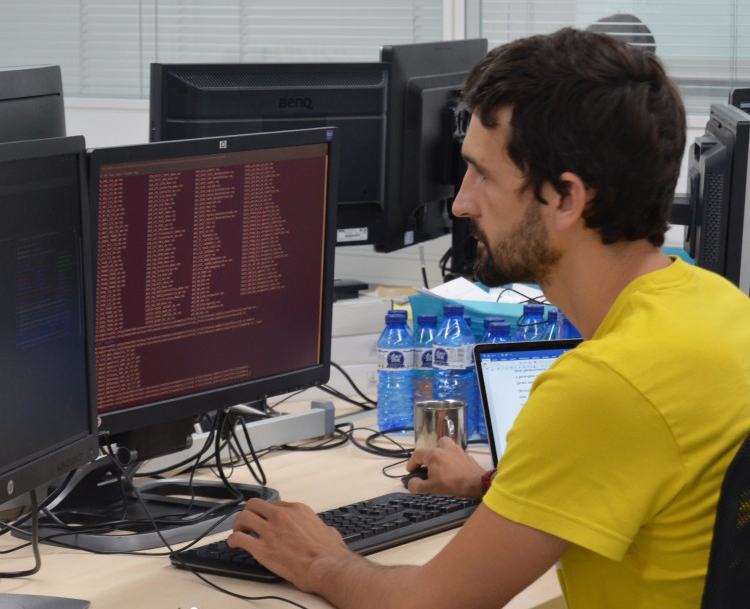 Using data from previous biochemical assays and a database on the gene expression of cancer cells, the researchers have developed a computational model that analyses how variations in pH affect the activity of almost 2000 metabolic enzymes. The researchers say they have confirmed the hypothesis that they initially formulated. According to this hypothesis, if cancer cells proliferate easily in an alkaline environment, then they would be more vulnerable under acidic conditions. This paves the way to considering the acidification of the cancer cells themselves, combined with more conventional therapies, as a good therapeutic strategy. The scientists also have identified the metabolic enzymes that work synergistically with intracellular acidity in the development of cancer, thus revealing these molecules as possible therapeutic targets. Indeed, five of these potential targets have already been tested in the lab using breast cancer cell lines and have yielded promising results, notes Duran-Frigola. “This work is still very academic, but we believe that some of the targets identified are ready to be tested in animals, thus allowing us to move into more advanced preclinical trial stages,” he says.